Heart Health Formula. Vit. D for added heart muscle support. 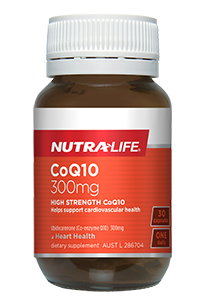 Naturally fermented Co-Enzyme Q10. Each capsule provides 200mg of naturally fermented Co-Enzyme Q10 (CoQ10) plus 1000 IU of Vitamin D3 to support healthy heart muscle function. 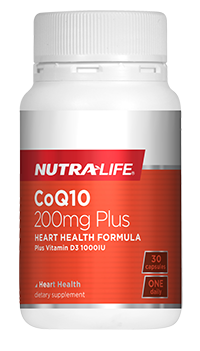 Studies show that CoQ10 can support heart health and cellular energy production. 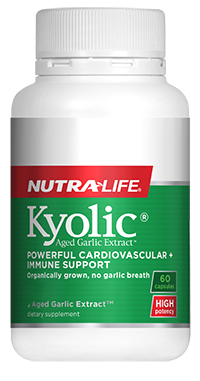 It and may also help to maintain normal blood pressure and cholesterol levels in healthy people. Recommended Adult Dosage : Take 1 capsule daily with food, or as directed by your healthcare professional. Gluten, wheat, dairy products, egg, soy, corn, artificial flavour or artificial sweeteners.